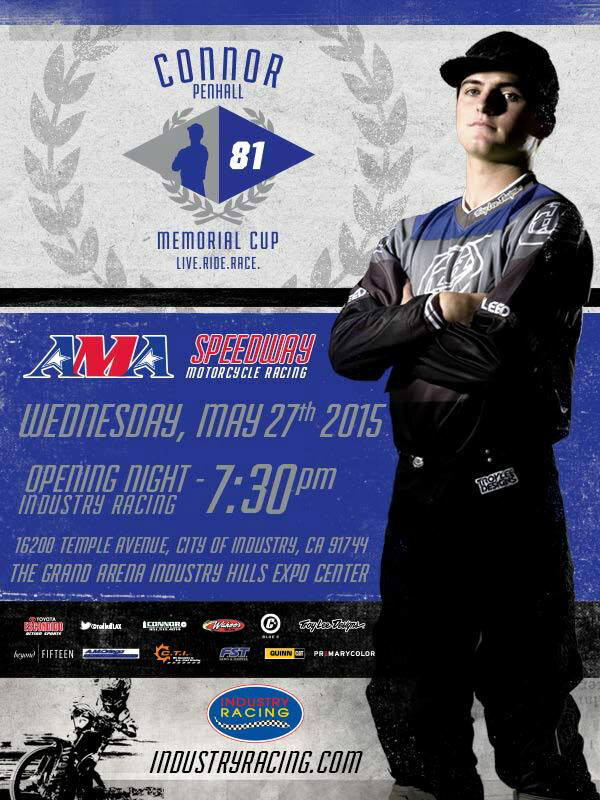 2015 Industry Racing Season to Open With Inaugural "Connor Penhall Memorial Cup"
NORCO, CA--(Marketwired - May 18, 2015) - Connor Concrete Cutting & Coring, a Norco, Calif. family-owned business founded in 2012 by Bruce and Laurie Penhall, is pleased to announce Industry Racing will open its 2015 Speedway Motorcycle Racing Season with the inaugural Connor Penhall Memorial Cup, on Wednesday, May 27, 7:30 p.m. at the Grand Arena, Industry Hills Expo Center. This special event in remembrance of the Penhall's son, Connor McDermott Penhall, aims to raise awareness of the dangers of drunk driving and the increasingly compromised safety of road construction workers. Greg Hancock, three-time and current Speedway World Champion, will serve as Grand Marshall of the opening night event, with other notable celebrities and athletes, which to date include Bruce Penhall's CHiPs co-stars, Larry Wilcox and Robert Pine; star of A&E's Storage Wars, Barry Weiss; legendary race announcer and AMA Motorcycle Hall of Fame inductee, Larry "Supermouth" Huffman; in attendance to show support for the Penhall family. Connor was a rising 21-year-old star in the motocross and desert racing world when he was struck and killed in April 2012 by a drunk driver while working as part of a contract crew for Caltrans on the 10 (San Bernardino) Freeway in Baldwin Park, Calif. In addition to his love for racing, Connor had his sights set on a career in law enforcement long before he was of age to apply. He took on odd jobs to get work experience and built a tremendous work ethic, working his way up through the ranks to become a full-fledged concrete cutter. The event will follow a Grand Prix format, featuring exciting races in Junior Speedway, Mini and Pee Wee divisions. Key sponsors include Connor Concrete Cutting & Coring, Industry Racing, Red Bull USA, Quinn Caterpillar, Hilti power tools, Toyota of Escondido, Wahoo's Fish Taco, Blue C and Troy Lee Designs. 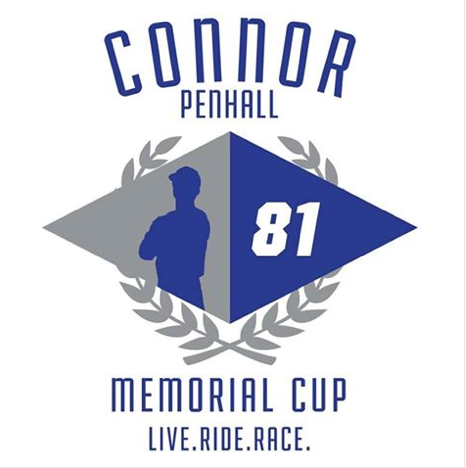 For more information, please visit http://www.industryracing.com and follow on Facebook at www.facebook.com/connorpenhallmemorialcup.